Easy to grow. Long standing and slow bolting. 6-8″ rosettes of dark-green, glossy, rounded leaves. 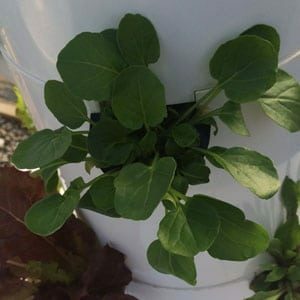 Similar to watercress but much easier to grow. Sometimes called “creasy greens” in the South. High in anti-oxidants. Superfood for 2015.